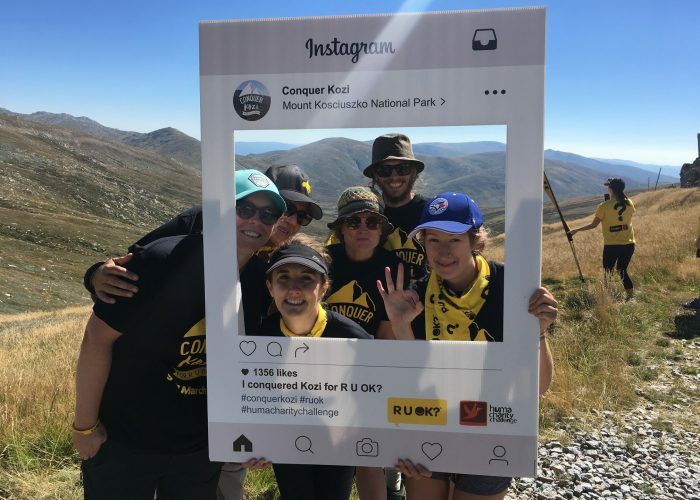 Conquer Kosciuszko for R U OK? 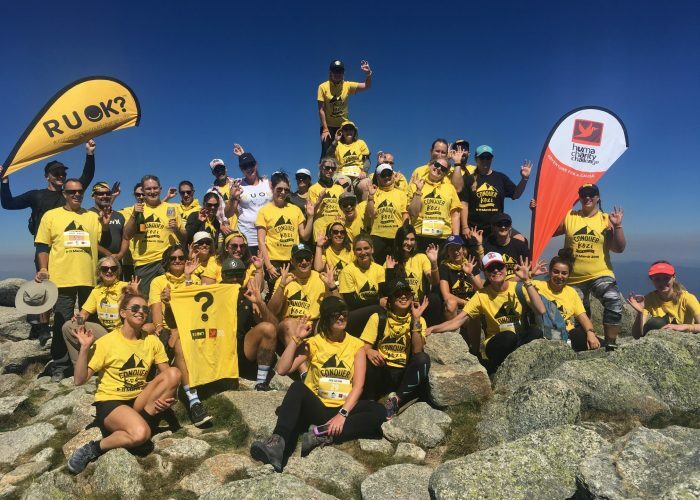 A spectacular 18km walk to the summit of Mount Kosciuszko whilst helping raise much needed funds and awareness for R U OK? 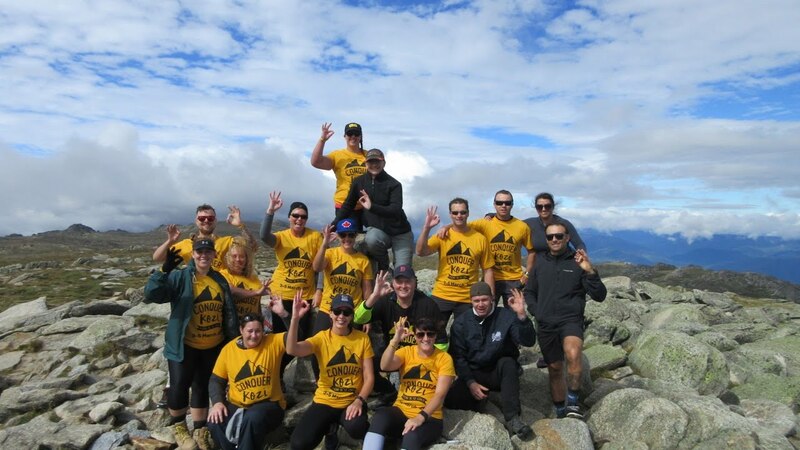 Termed ‘Kozi’ by the locals, Mount Kosciuszko (2,228m), situated in New South Wales Snowy mountains, is the highest peak in Australia and one of the original 7 summits. Polish explorer Count Pawel Edmund Strzelecki was the first European to summit the peak, way back in 1840. Why isn’t it called Mt Strzelecki? Because this selfless fellow decided to name it after his Polish hero. 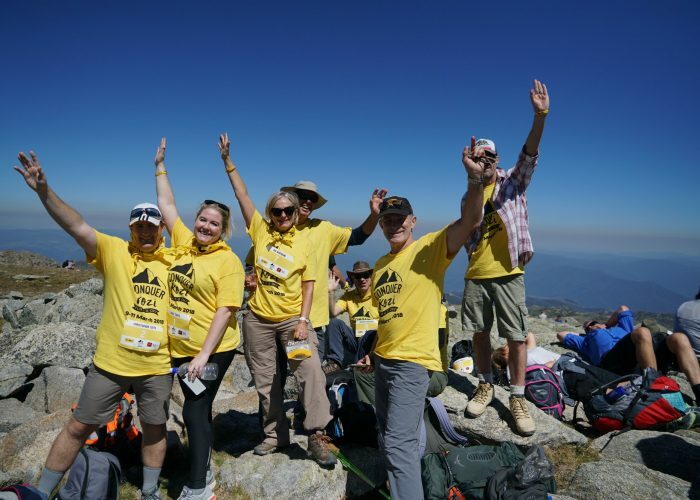 This popular summit walk takes you to the rooftop of Australia with sweeping 360 views across the Snowy Mountains and Victorian High Country. Stay a while to soak in the fresh alpine air and wallow in your sense of achievement, before returning along the track. To determine the grade of a particular adventure we consider a number of factors. 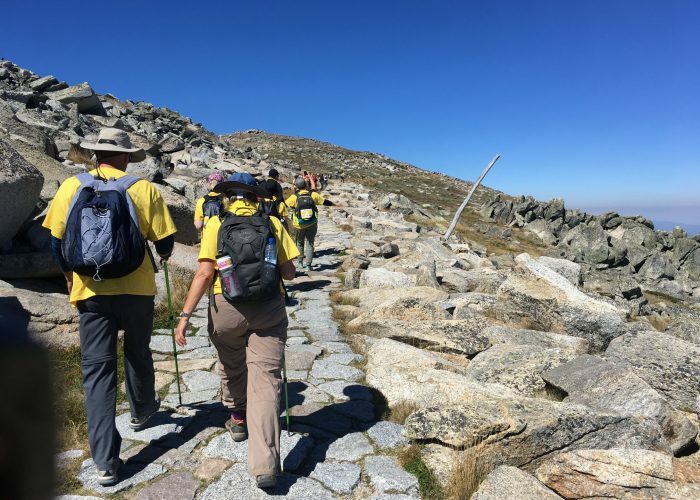 These include the condition of the walking terrain.The Kosciuszko Challenge is graded introductory to moderate. 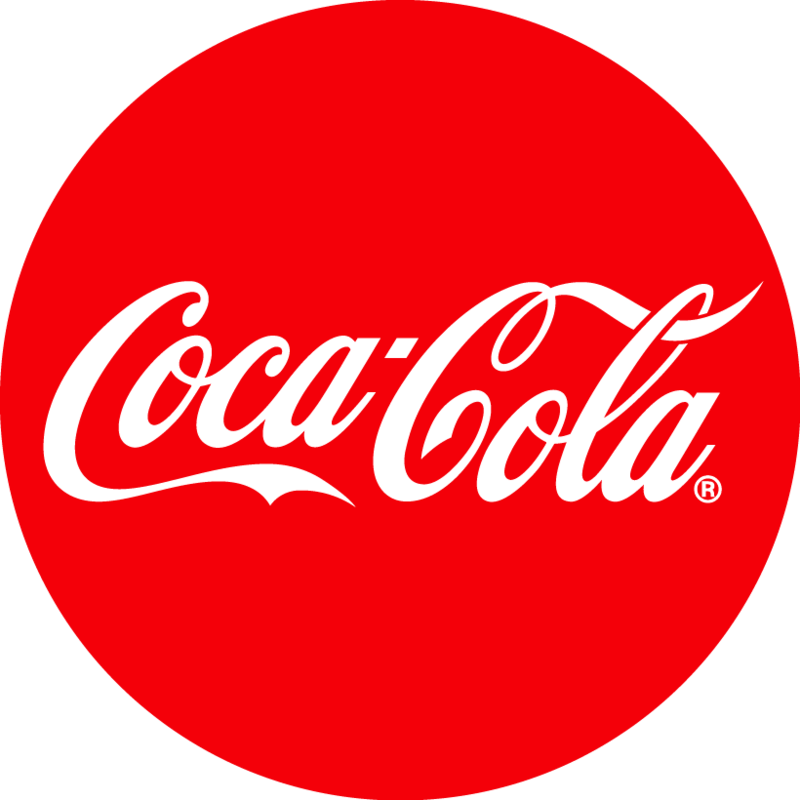 This is primarily due to the low altitude gains and the condition of the trail which is well defined and not unduly demanding. 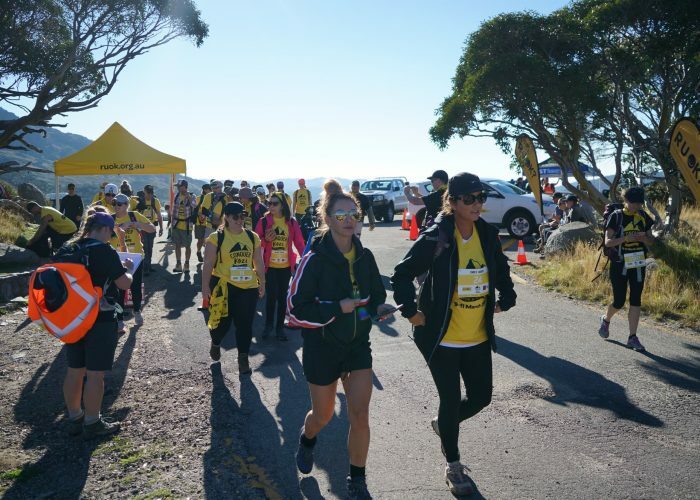 During the challenge you will be walking for up to five to six hours at a slow but steady pace. You will need a reasonable level of fitness (remember there is no such thing as an easy trek) and we suggest 30 minutes of aerobic type exercise, (either cycling or jogging) three times a week for the three months leading up to your trek. 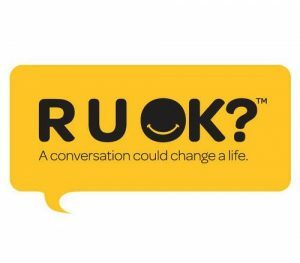 Raising awareness and funds for national suicide prevention charity R U OK? In your daypack you will need to carry extra warm clothing, a rain jacket, water bottle, camera gear, valuables and personal items such as sunscreen, lip-eze etc. R U OK? wants every Australian to feel confident in starting a conversation with someone they’re worried about. By taking on this challenge for R U OK? you’re not only encouraging those in your world to have meaningful conversations and support those struggling with life but also helping to further our work with at-risk communities. We need to share stories and the conversations that are making a real difference in day-to-day life. 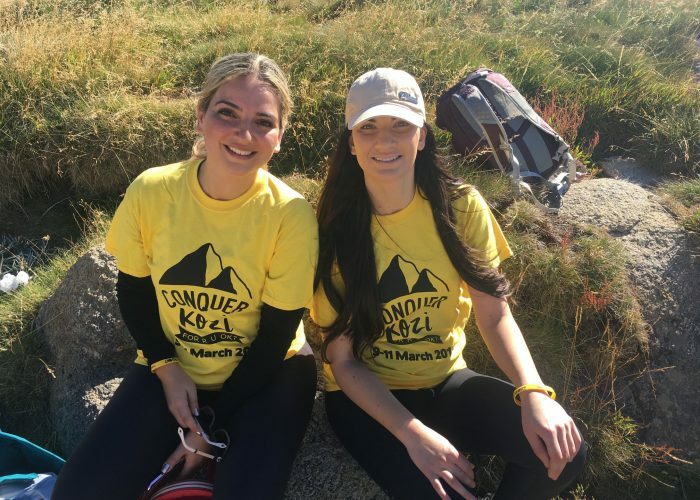 The funds you raise will help develop specific resources and new campaigns, in an aim to enhance community wellbeing and help connect those who may be struggling with life.